If you are a seasoned Cryptocurrency investor, you already know that it’s been a bumpy ride. If you are new to the game, you are probably filled with questions as you take those first tentative steps. Of course, you have likely noticed the year-long bear market that Cryptocurrencies faced in 2018 and are wondering if this will continue. And you are probably asking yourself if this is the best time to be getting started. Bitcoin, the largest and oldest of the Cryptocurrencies, had a close encounter with the $20,000 price level in late 2017. As of this writing, it trades at around $3,800. Yes, 2018 was a major disappointment, but that does not mean Cryptocurrency investing is dead or even on life support. Anyone contemplating an investment, however, should go into it with eyes wide open. There are some in the financial media who are embracing the prospects of Cryptocurrency, and there are quite a few calling it a scam or just a fad. Both sides are making plenty of noise, so it’s best not to pay close attention to any of it. Treat your investment as you would any other: buy it, hold it, and ignore the loud voices around you. There is no excuse for investing without understanding the product you are buying. This is the digital age and researching the underlying asset of any investment has never been simpler. 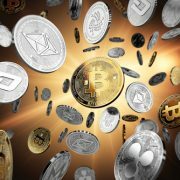 Most coins have whitepapers that can be accessed online, and a good place to find them is at sites like All Crypto Whitepapers. Dollars, euros, and yen have an unlimited supply, but an underlying algorithm controls the number of bitcoins. There are only 21 million Bitcoins to mine, and approximately 17 million have been mined already. And, as time goes on, they will become harder and harder to mine. Bitcoin’s price is set by whatever people are willing to pay. As of March 1, 2019, it was trading at $3808. That price is for one Bitcoin, but exchanges will allow investors to purchase less than one Bitcoin. As an asset, Cryptocurrency is treated as personal property for federal income tax reporting purposes. A taxpayer who receives virtual currency as payment for goods or services must, in computing gross income, include the fair market value of the virtual currency. Check out this IRS publication for more Q & A’s on Cryptocurrency. Compared to the severe price volatility in 2017, Bitcoin’s fluctuations in 2018 were more subtle. Many Crypto experts believe that trend toward stability will continue in 2019. If so, the Crypto industry could attract more institutional investors that are typically uncomfortable with rapid fluctuations. More companies are accepting Bitcoin and other Cryptocurrencies as cash payments for goods or services. Microsoft, PayPal, Overstock.com, Subway, and Gap are just some of the well-known businesses. There are even Bitcoin-powered credit cards arriving on the scene. Bitcoins are a target for hackers and scammers, so it’s crucial to secure them. Check out TREZOR, a hardware wallet, or Ledger Nano, a security company that offers secure Bitcoin storage devices. 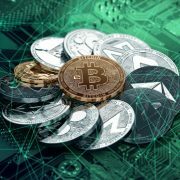 By now everyone has heard of Cryptocurrency, and there are even a few investors out there who understand it completely. In a nutshell, digital currency works as a medium of exchange. There was quite a bit of hype in 2017 when the market capitalization for Cryptocurrencies grew from $18 billion in January to $800 billion over the next twelve months. Bitcoin has a significant community of developers and investors backing it for future growth, and it has been adopted by mainstream corporations such as Microsoft, Overstock.com, and Expedia. Since it is easy to buy and is supported by the top exchanges and wallets, Bitcoin is popular with both beginners and experts. Ethereum is second to Bitcoin in market value. Created in 2015, Ethereum goes beyond being merely a digital currency. It is also a blockchain-based platform for developing decentralized apps and smart contracts. And Ethereum offers an excellent platform for launching the Initial Coin Offerings (ICOs) for other blockchain projects. One other plus: Ethereum has a transaction speed of a few seconds versus the 10 minutes or more of Bitcoin. Ripple is a unique Cryptocurrency. Released in 2012, it is both a Cryptocurrency and a digital payment network for financial transactions. It was set up to create a fast, secure, and economical way to transfer money. It differs from other currencies in that it allows for any currency to be exchanged and it connects to banks. 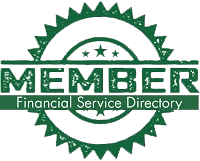 Its primary focus is on moving sums of money on a larger scale rather than person-to-person transactions. Unlike traditional international money transfers that can take about a week, Ripple can make it happen within seconds and at a significantly lower cost. Bitcoin Cash was forked from the original Bitcoin in 2016 after its developer community could not agree on the changes required in Bitcoin’s code. BCH was created to improve specific features of Bitcoin by increasing the size of blocks, which allowed for more and faster processing of transactions. It was created to solve some of the existing problems of Bitcoin, namely scalability and transaction fees. EOS is on the list of top Cryptocurrencies even though its platform was just launched in June of 2018. Its token was launched a year earlier. Most experts predict that it will be a direct competitor to Ethereum since it provides a platform for developers to build decentralized applications and smart contracts with a significant improvement in technology. EOS should be more scalable than Ethereum because it uses an advanced mechanism to verify transactions. It is reportedly capable of completing 10,000 to 100,000 transactions per second! Cardano was created in September of 2017 by Charles Hoskinson, who is Ethereum’s co-founder. Like Ethereum, Cardano has been developed as a platform for decentralized apps and smart contracts. Just like EOS, the difference between Cardano and Ethereum shows up in its technological improvements. Cardano is considered among the most advanced generation of blockchain technologies and is supported by an academic community of global researchers and scientists contributing to its blockchain development.